Sure, you can sprinkle this flavorful mix of garlic, onion, sugar and Worcestershire on your next burger, but grill mastery favors the bold. 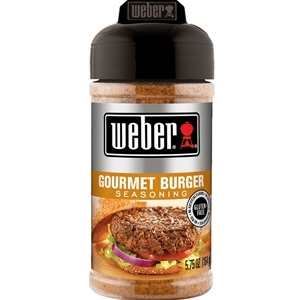 Knead it right in during patty-making process—2 teaspoons per pound—to experience burgers exploding with flavor. Salt, onion, spices, garlic, sugar, chili pepper, rice concentrate, tomato powder, red bell pepper, caramel color, natural smoke and grill flavors, paprika extractives (color), and natural flavor.